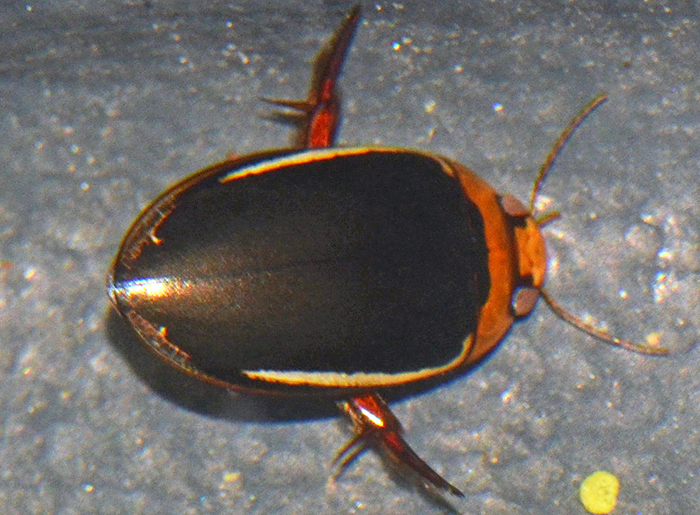 A couple of predaceous diving beetles discovered the rain water that had accumulated in my truck bed. Not easy to photograph since they stayed under water and had the tendency to hide under submerged leaves. This species is "lentic" meaning that they inhabit stationary, or relatively still, fresh water.